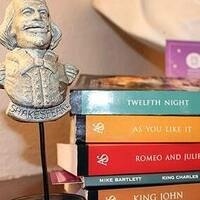 The Colorado Shakespeare Festival's Bard's Book Club returns for a second season! Members will meet once a month to chat about the five plays in the Colorado Shakespeare Festival 2019 season, guided by CSF staff. Experience the pleasure of discovering and discussing the richness of character, language, plot complications and modern interpretations of Shakespeare (and non-Shakespeare) plays with other Shakespeare fans. Participants must purchase their own copies of the plays. Seating is limited, register today! Ages 18 and up. Price is $125. Class meets monthly 6–8 p.m.Thursday evenings in the CSF Conference Room at 1301 Grandview Ave. in Boulder.